With the majority of local businesses feeling the effects of tough economic conditions in PNG right now, Trukai Industries has instead focused its attention on stemming the ripple effect of this hardship flowing onto its customers, being the majority of everyday Papua New Guineans. To offer support to families struggling with little income and many mouths to feed, Trukai Industries has developed a new “high quality, high affordability” rice product, launching what it considers a vital addition to its product line in 2016. Trukai brand ambassador and NRL legend Jonathan Thurston is the face of Trukai’s newly launched Roots Long Grain Rice, a new rice product introduced under Trukai’s popular ‘ROOTS’ value brand, which is focused on providing a value for money, high quality rice for grass roots consumers. 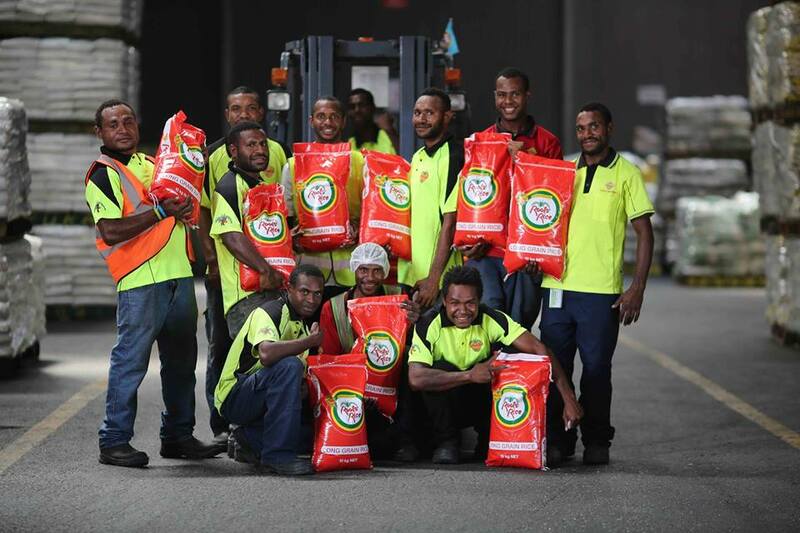 “With the launch of our Roots Long Grain Rice range we are providing an affordable rice option to the low-income consumer, while still providing a product that is of high quality and flavour,” said Trukai GM Sales & Marketing, Andrew Daubney. “The second point is important. While rice products have entered our market focused solely on price, what is invariably compromised is quality. “Roots Long Grain Rice, like all our rice products, is Vitamin Enriched (VE), whereby micronutrients such as iron and B vitamins are added to regain nutritional content lost during the manufacturing process. It is also fortified using the superior extruded method. What this means is that no matter how many times you wash your Roots Long Grain Rice, it will not lose its VE. Like all Trukai rice products, Roots Long Grain Rice is the result of extensive research and development that has seen both the Trukai and Roots brands now exceed most world standards, set by governing bodies which oversee food manufacturing in the international rice production sector. “Roots Long Grain Rice is a brand extension that will provide a great offering to families that have many mouths to feed, and not as much disposable income. While price point is very important to families, so is the nutritional value of the rice you eat, especially when rice is our staple diet in PNG.” Mr Daubney explained. Roots Long Grain Rice is available throughout PNG in 1kg, 10kg and 20kg volumes, and to mark the launch Trukai is currently offering in-store value-add promotions. Purchasing two bags of the 1kg Roots Long Grain Rice will see customers receive a free rice serving spoon. In upcoming promotions, purchasing 10kg and 20kg bags will see customers rewarded with even more impressive value- add items over the next 3 months. To celebrate the launch, Trukai is also rewarding every member of its staff across the nation with a free 20kg bag of Roots Long Grain in early December.